Human rights, democracy and the rule of law depend on the institutions that give them form. But for populists, who invoke the proclaimed “will of the people”, these institutional checks and balances on power are often seen as an obstacle that should be subverted. 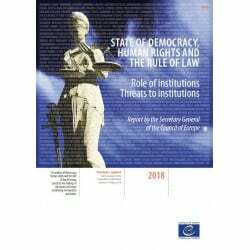 This is the fifth annual report of the Secretary General of the Council of Europe on the state of democracy, human rights and the rule of law in Europe. 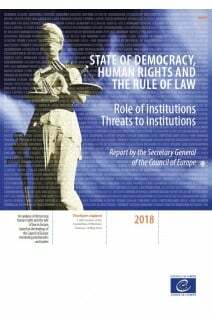 As with previous reports, the five chapters look at the key building blocks of democratic security: efficient, impartial and independent judiciaries; freedom of expression; freedom of assembly and freedom of association; democratic institutions; and inclusive societies.